A couple got a special treat from some friendly Imgur users who wanted to help them improve their sad, lonely looking vacation photos. In a post titled "Why I love this site so much," a user named ButteSeriously (excellent) explained what happened after she lamented to other users about her lackluster vacation pics. 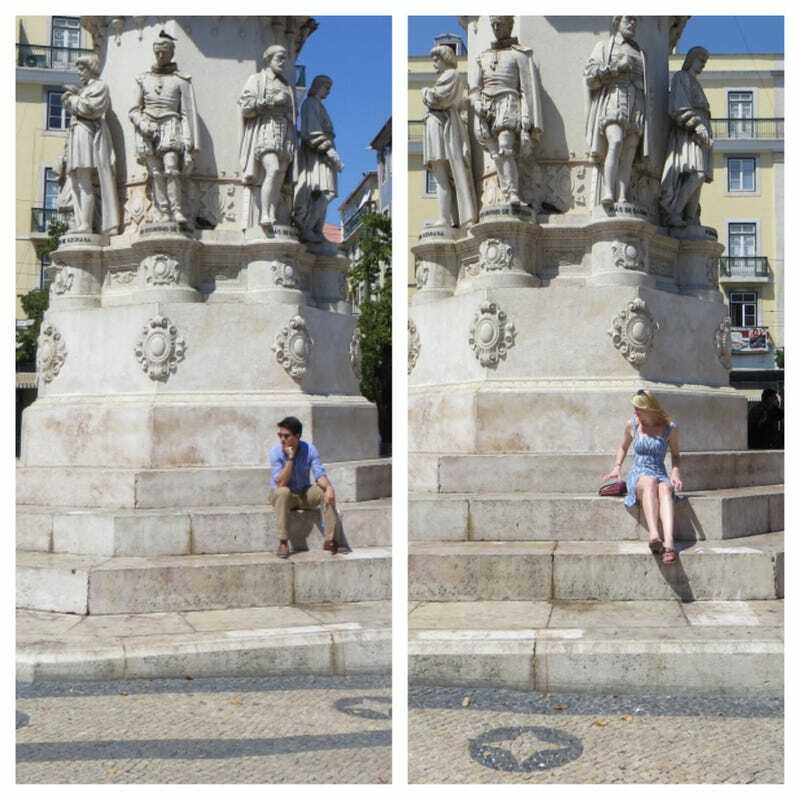 She said her and her husband were "too awkward" to ask strangers to take their pictures, so they end up with pictures that look like "lonely." "Now we actually look like we're on our honeymoon *together*," she posted. See? The Internet's powers can be used for good and not just evil! Photos via ButteSeriously, slyjuma and 4D44H.